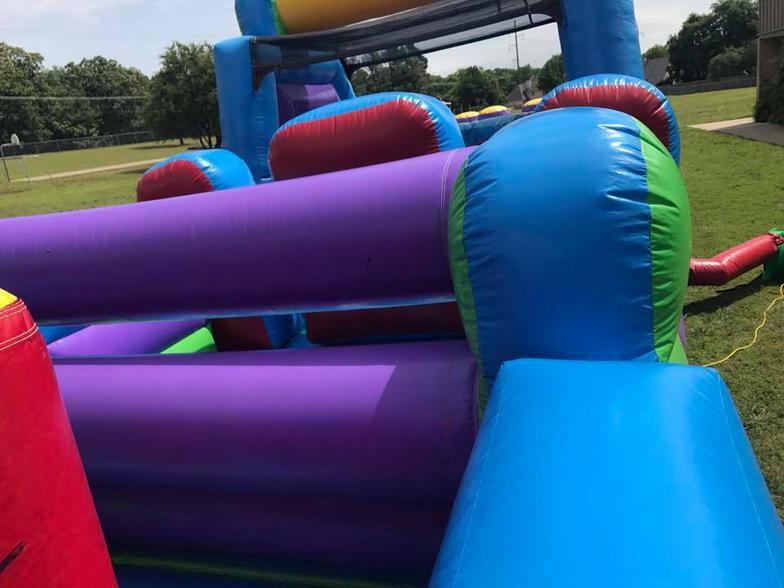 The Inflatable 40ft Obstacle Course is an oversized inflatable play structure which has a bright and colorful theme of yellow, red and blue, perfect for high-traffic days. 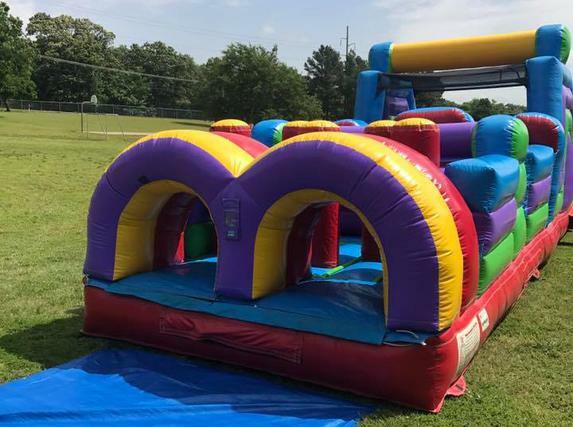 The 40ft Course is set up for friendly competition play, with dual entrances and exits. 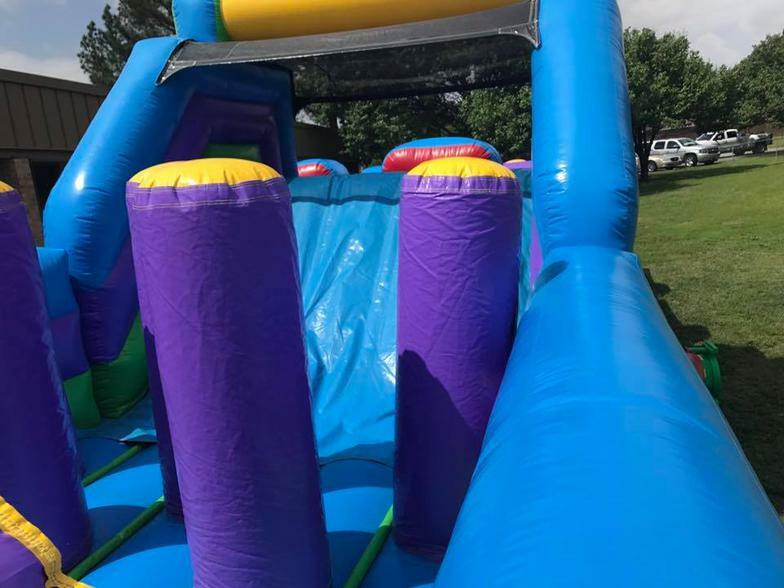 Challenge your friends thru the tunnels, pop ups, & slide. Great for all ages! 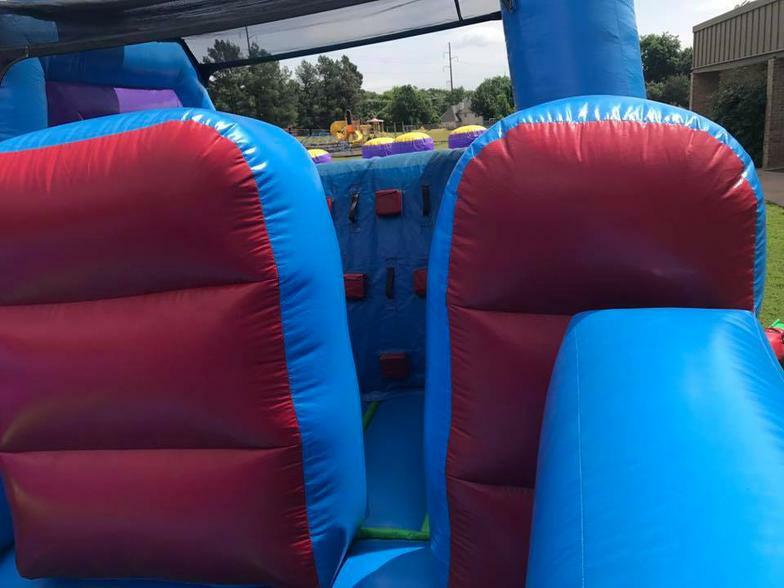 Inflatable is picked up at our warehouse in Muskogee between 8:00am-9:00am and returned the same day between 7:00pm-8:00pm. Delivery Price is for a 5 hour rental. 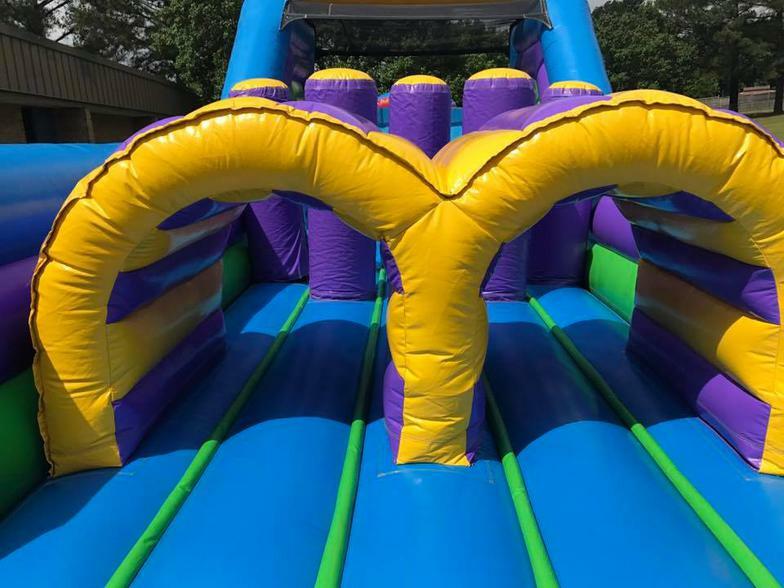 You select the time you would like the Inflatable ready, we deliver and set it up before that set time, and then come back to take it down after your event is over. Rentals for longer than 5 hours, additional fees apply. Delivery price subject to specific areas. Click below to receive instant price quote!